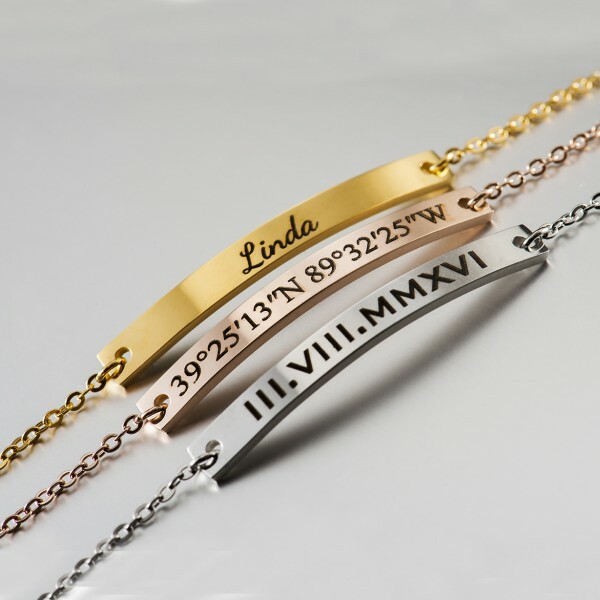 This bar bracelet can be personalize with any names, dates, initials, short messages and symbols. 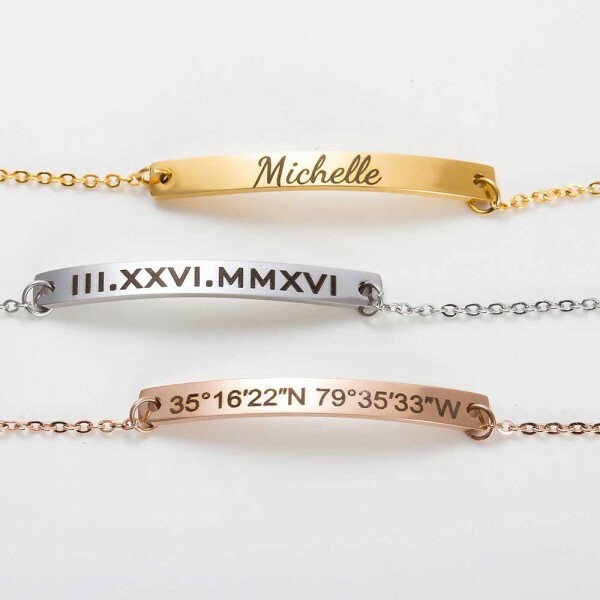 Give this perfect gift for your favorite girl, or customize one for yourself, it is perfect to all special occasions. -usually ship within 1-2 weeks after receiving payment. 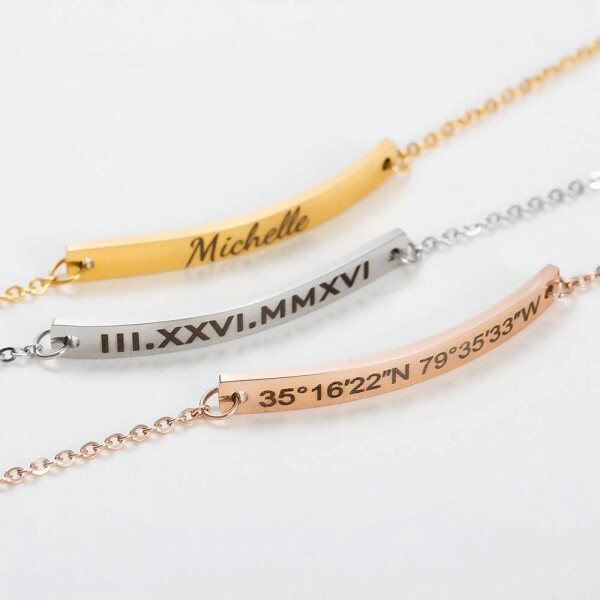 I recently received my bracelet with my arstist name and love it, it is just like the picture and I've been using ever since (it has been more than a week!) It came really nice packaged inside of a beautiful jewllery box, two mail envelopes and bubble wrap. I'm really happy with the product and totaly recomend it! 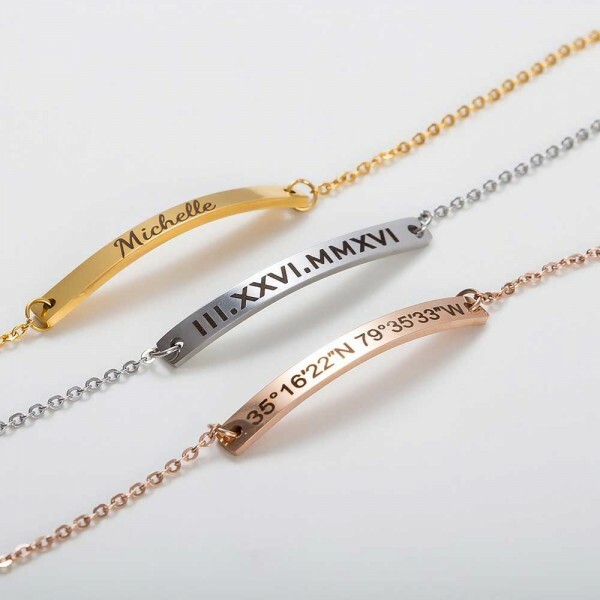 Question about Bracelet Custom Handwriting Jewelry is Successfully Submitted.